Pilots for Christ International is managed (daily) as an organization by an (unpaid) President, and directed by (12) (unpaid) Board of Director Members, with the President receiving assistance by (3) additional (unpaid) Officers (Vice-President, Secretary, Treasurer), who are also members of the BoD. Please meet each individual below, along with their contact information. 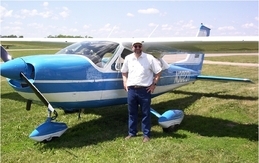 Tim is a private instrument pilot, and a member of AOPA. He is retired from the Postal Service where he served as a Senior Manager (EAS-25), from 1992 until 2009, in Post Office Operations. He retired with 36 years of Federal Service, with 33 yrs in management. He is a Vietnam Army Veteran, having served near Bear Cat, in 1969. He & Lori own a Mooney and live in Michigan, near Grand Rapids. Lori and Tim have (6) children and (11) grandchildren, and love Jesus with all their hearts. 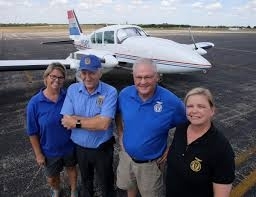 They fly missions and conduct auto-pilot missions in their area and in partnership with other chapters. They both belong to the Michigan Chapter. As President of Pilots for Christ International, he is responsible for the day to day operations, and makes decisions that enhance the PCI organization and bring glory to Our Lord Jesus. Bob Lehton, warmly known as “Dr. 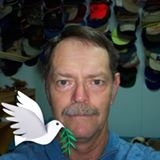 Bob” is the Vice President of Pilots for Christ, International. Dr. Bob has been an integral part of the board since 2001. 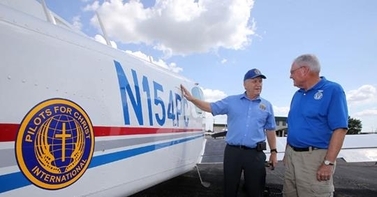 He is the Founder and President of Servant Air Ministries (PCI Florida Space Coast Chapter), which serves air transport to the Bahamas since 1993. 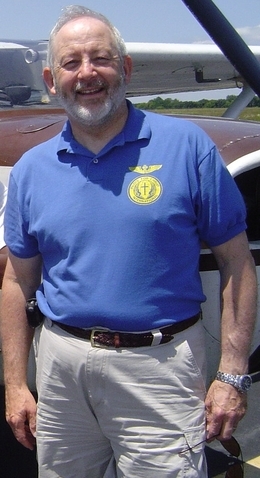 Dr. Bob is a member of AOPA, NAFI and Seeds of Abraham. Dr. Bob has flown countless hours and given many hours of instruction and assistance to grow God’s love. He is a Minister of Music and an Ordained Minister. His occupation is a Clinical Child Psychologist and founder of the Family Pediatric Clinic. Diane is a professor at the Baylor University with a doctorate degree, and has a daughter Natalise, and twins, Aletha and Alexander. She is credited withing helping form the Kansas "Sunflower" Chapter and works tirelessly for Christ. She has volunteered and witnessed at Sun N Fun, Oshkosh and other events for Pilots for Christ International. Diane's responsibility is to take minutes during BoD and President's meetings and she is very experienced at organization and presentations. She is an author and has written several books. She and Lori Layne wrote and edited the book "30 Years of Pilots for Christ", newly published this year and available at our PCI Gift shop. Diane married Tom McKernan in 2017 and Tom is a PCI member too! They started the WACO TEXAS chapter in 2018. Lori has been a member of Pilots for Christ since 2005. She is VP of the Michigan Chapter and a pilot. Lori has been involved with Christian Dog Mushing and wrote a Children’s book called, “If I Only had an Angel”. She has been married to Tim since 1993. They have 6 Grown children and 11 grandchildren. Lori is retired from the US Postal Service, having served in many positions of management. Romans 5: 3-5 Not only so, but we also rejoice in our sufferings, because we know that suffering produces perseverance; perseverance, character; and character, hope. And hope does not disappoint us, because God has poured out his love into our hearts by the Holy spirit, whom he has given us. Occupation –Retired from, City of Manassas Government – 20 years. Prior to City, was self-employed as Public Accountant over 20 Years. Served in U.S. Army Active Duty ’68-‘71. One Tour and 3 campaigns in Tay Ninh, Vietnam ’69-70. Awarded Bronze Star and other decorations. Former Volunteer Fireman (20 Years) and Chief Evergreen Volunteer Fire Department & Rescue Squad (‘78-’86). 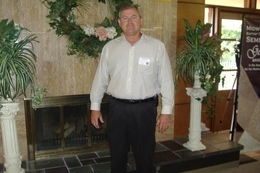 Lee DeArmond joined Pilots for Christ in 1995. In 2002, Lee was elected to the National Board of Directors and served as the Vice President until he became the President in 2005. Lee served as President of Pilots for Christ for six years, stepping down in August, 2011. 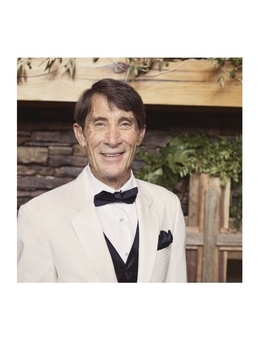 He is currently a member of the North Carolina Chapter and works tirelessly in that organization.. Lee is a retired Army Reserve Officer and a retired Federal Civil Servant having served more than 32 years. He holds a multiengine instrument rating and flies a Cherokee Six. He and his wife Shirley live in Granite Falls, NC. Joined PCI in 2006, Chapter President 2010, until December of 2013. 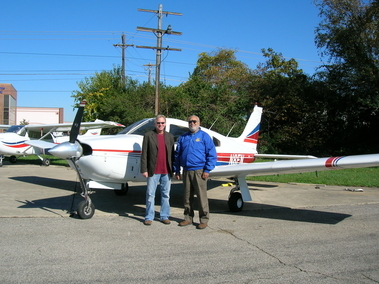 He is a licensed pilot since 1978 and has 1500 hours logged and two to three hundred has been public benefit flying, first into Mexico in the 80's and then in the Midwest. He has loved airplanes and flying since childhood and started lessons in 1965 but was unable to finish for about 10 years. He was born again in 1972 and asked God to enable me to have the means to fly. When he did he was very happy renting aircraft, but when He gave him a beautiful North America Navion in 1980, he vowed to use it for spreading the Gospel in some way and the best and happiest time aloft have been and will continue to be the time he flies for Him!! He prays that at the age of 69 He will allow another 10-15 years of flying. Paul Pankratz has been a member of Pilot’s For Christ, International since about 2004 and has been the PCI – Minnesota chapter president since 2005. He holds a commercial pilot’s certificate with multi-engine and instrument ratings. Paul owns a 1968 Cessna C-177 Cardinal which he uses for PCI missions and for flying EAA Young Eagles, having flown 340 kids since joining the program in November 2000. Paul is employed by a twin cities based global provider of cleaning, sanitizing and infection protection products and services for the Institutional, Industrial, Food Service and Healthcare markets. 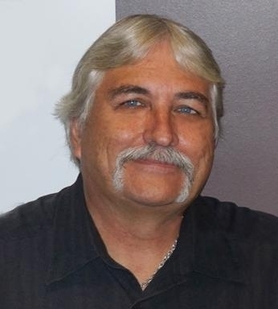 After graduating from the University of Wisconsin – Madison in 1978 with a bachelor’s degree in Chemical Engineering Paul held multiple assignments for his employer which led him to live in various parts of the U.S. including Joliet, Illinois, Woodbridge, New Jersey and Dallas Texas. A special engineering project gave him international exposure taking him to Brussels, Europe in 1998. Paul is a certified Lean Six Sigma Green Belt and currently works in the R&D business sector of his original employer. Paul is a musician and vocalist in the choir at his local church and for the past 7 years has volunteered as a team member for the RCIA process, the Right of Christian Initiation of Adults where he has also served as parish sponsor for adults seeking to enter the faith. Paul is originally from Green Bay, Wisconsin and even though he has resided in Lakeville, Minnesota for the past 21 years he is a staunch Green Bay “Packer Backer”. His hobbies include flying (of course), biking and tennis. Hobbies: Flying and working so I can afford flying!! Motto: Why would I walk when God will let me fly!! Aircraft owned with partners: Cessna C182B; STC’d with 275 horse PPonk conversion scheduled this January; new paint scheduled this January; Instrument certified with WAAS enabled Apollo GNS 480; new interior 2008 (beautiful); and to think God is sooooo good he lets me fly it!! Steve is the past president of the Wyoming Chapter and is extremely involved and cares about Pilots for Christ. Please contact him with any questions or concerns.